2.1 What Are The Melatonin Benefits? 3.1 How Does Melatonin Work? 4.1 How To Take Melatonin? 5.1 What Are Melatonin Side Effects? Nootropics and smart drugs that support, and promotes, sleep quality. A collection listing all nootropics and smart drugs tagged under sleep. Summary: Melatonin plays several roles in the body, including helping to regulate blood pressure, boost immune function, antioxidative, and manages cortisol levels, in addition to regulating the body’s circadian rhythm. That’s why melatonin is often referred to as the body’s sleep hormone. But melatonin is probably best known for its soporific powers. Chief among its responsibilities is regulating the body’s circadian rhythm so it knows when to rest and when to wake up. That’s why melatonin is often referred to as the body’s sleep hormone. What Are The Melatonin Benefits? Antioxidant enzymes roles within our bodies are to help clean the cells in our bodies and filter our bloodstream from harmful cells. Melatonin increases the rate at which our body produces these enzymes that would be naturally. These molecules in question can also bond to what is called Reactive Oxygen Species (ROS) & Reactive Nitrogen Species (NOS) which can decrease the level of damage each of these can cause respectively. In addition to defending against conditions such as Alzheimer’s development, Melatonin can also aid as a coping mechanism for users who have Parkinson’s. Melatonin in tests was shown to prohibit cell death and brain damage, sometimes as a cause of a leaky blood-brain barrier. You’ll see melatonin recommended in a range of doses, starting at around 0.5 milligrams up to 10 milligrams for people with sleep disorders, with the most common dosage being around 3 milligrams. But even this is probably way more than you need. Even though the overwhelming verdict is that melatonin is safe, you can have too much of a good thing. Overdosing on melatonin has not been shown to be fatal, but it can produce the aforementioned side effects, like dizziness and grogginess. 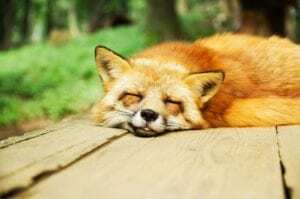 In one known case, after taking 24 milligrams of melatonin, a man became lethargic and disoriented, but returned to normal and did not continue to have issues once he lowered his dosage. What Are Melatonin Side Effects? There’s great amount of evidence suggesting as well as proving the benefits of supplementing with melatonin whether for sleep purposes or overall general health. Best practices when supplementing with melatonin for long-term benefits is to take a microdose of 300 mcg on daily basis before bedtime. This microdose will serve a host of benefits most noteworthy of which is antioxidation and supporting mitochondria and antioxidation. Many Nootropic focused companies are now aware of this and its benefits and so finally starting to see products in microdoses such as Nootropic Depot’s, which I have personally been using for a long time. Prior to which, I tried a couple of different products at the doses of 3 mg and it made me very heavy and groggy for a long time. A reddit user documented his experience after 2 years of using microdose of melatonin as recommended alongside magnesium, and his realization of how beneficial it had been working for him after he stopped. From the blog: Melatonin for Sleep: How Effective Is It? Wouldn’t it be great if you could pop a pill for better sleep? A pill that’s non-habit-forming, doesn’t require a prescription, and doesn’t make you do strange things like eat in your sleep? Well, maybe you can. While more satisfying zzz’s in pill form sounds too good to be true, there’s promising evidence that melatonin, the naturally occurring hormone in our bodies, can be harnessed as a supplement for better sleep. Melatonin for Sleep: How Effective Is It? Melatonin is a hormone produced by the brain’s pineal gland. It plays several roles in the body, including helping to regulate blood pressure, boost immune function, and manage cortisol levels. Summary: Phenibut is a a GABAergic agent that works on the GABA neurotransmitter distinctly reducing anxiety. It also lessens depression, and PTSD symptoms, improving sleep, and providing an overall feeling of ease and well-being. Due to the euphoric-like effects it offers, users prefer to stick to occasional use rather than frequent in respect of its abuse and addiction risk potential. Phenibut might not have as widespread use as other nootropics on the market. However, it has demonstrated numerous benefits over tens of decades through both formal studies and anecdotal documentation. It’s a nootropic designed to simulate the inhibitory neurotransmitter γ-aminobutyric acid (GABA) that acts on the central nervous system. It marketed as a psychotropic with a positive effect on mental capability and improved neurological functioning. The anxiety diminishing effects of phenibut are the most praised of all its attributes. Once anxiety is resolved, natural sleep patterns and enhanced cognitive processes shortly start following. Phenibut was invented in the Soviet Union almost half a century ago. A fascinating, documented anecdote reveals that Russian cosmonauts were supplementing with phenibut especially during the 1975 mission Apollo-Soyuz at the joint of the USSR and US. It remains in use to date in Russia as a treatment and remedy to many conditions including anxiety, depression, prevention of motion sickness, even alcohol withdrawal syndrome, to name a few. Not to mention, of course, its nootropic attributes. Phenibut, sold under the brand names Anvifen, Fenibut, and Noofen among others, is a central nervous system depressant with anxiolytic and stimulant effects which is used in the treatment of anxiety, insomnia, and for a variety of other indications. Anyone who suffers from anxiety knows that it can be extremely hard to control, it’s not just something that can simply be ‘switched’ off. When taking Phenibut, you will be able to gain more control. Once administered, you can expect to feel more relaxed and composed. This attribute is the most appreciated benefit of phenibut which is documented by Izyaslav Lapin (R). Anxiety is often the result of overactivity in brain’s concentration and overthinking and analyzation of unnecessary, or irrelevant matters; often with the inability to realize the direction to which the train of thought is heading. Turning down and resting the continuous and distracting neuron processing frees the negative thought preoccupation which in turn opens a fresher, vibrant, and often productive range of possibilities. Since phenibut improves attention, it may also help with ADHD symptoms. In one clinical trial of 50 children with ADHD, it improved cognition, self-control, sustained, attention, and memory after 1 month (500-700 mg/day). One month is a short time for evaluating ADHD effects; long-term studies need to determine if the beneficial effect can be sustained. Well I am ADHD and have taken Phenibut and similar “GABA-acting” drugs, such as gabapentin for about a year. Its interesting that, at the time, I had not been diagnosed with ADHD yet and was not aware nor had a clue what ADHD is. I self-medicated with gabapentin and phenibut along the way, and now years later, looking back at how routinely I was taking it, I realize the reason I was hooked and amazed by it was its effect on me as an ADHD, prior to any anxiety triggers that might associate. It was a transformative medication – but overtime, mister W (withdrawals) had been sitting and just waiting for me to get off it in order to introduce himself – and that horrible experience was almost equally as transformative. Gamma-aminobutyric acid (also known as GABA) is the chief inhibitory neurotransmitter in our central nervous system.The blood-brain barrier makes supplementing with GABA close to being ineffective due to its inability to bypass the blood-brain barrier. 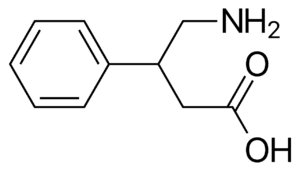 However, phenibut crosses the barrier due to the addition of the phenyl group molecule. Once in the brain, it slows the neuronal excitability, resulting in the effects as mentioned earlier. GABA frees up channels in the neurons, reduces the function of other neurotransmitters, and diminish collective fears and anxieties in the neuron. It remains vague whether or not phenibut binds to the GABA receptor, although some studies suggest that it only does so in high concentrations. Lapin’s research found that phenibut increases the levels of dopamine as well. Dopamine is another vital neurotransmitter in the central nervous system. It regulates emotions and creates the reaction of what we call motivation. In order to affect one’s cognitive functioning, mood, and overall relaxation levels, this supplement needs to cross the blood-brain barrier. GABA cannot effectively do this, while Phenibut can. This is due to a phenyl group that is attached to GABA’s structure. Naturally, GABA balances out the effects of chemicals that stimulate neurons. When neurons are overstimulated, this can lead to feelings of anxiety and restlessness. Since Phenibut works like GABA, it helps to restore this balance. The result is neurons firing only when they’re supposed to. Once Phenibut reaches the brain, it targets GABA receptor sites. It is believed that Phenibut is non-selective, as it stimulates both GABA-A and GABA-B receptors. This allows you to feel a sense of relaxation, lessening anxiety. This is fairly different than other nootropic supplements, which is why it’s beneficial in a stack. Phenibut also stimulates dopamine receptors, which is key in terms of your mood. Once dopamine is increased, you will experience a more positive mood. Users also tend to experience high levels of motivation, allowing them to achieve more. Phenibut is a potent compound. Start at the lowest effective dose and monitor your response to it, then adjust according to your needs. A dose of 250 mg is a good starting point for first-timers with no tolerance. 500 mg would be ideal in my opinion. Phenibut effects build up gradually, so avoid taking a second dose without a reasonable timeframe in between. Initial kick-in is around 45 minutes after consumption, and optimal peak effect is usually 2 hours later. Phenibut is GABA (the major calming neurotransmitter in your brain) with a phenyl ring attached, which allows the molecule to pass your blood-brain barrier and reach receptors in your brain. Phenibut was originally developed for Russian astronauts, to ease the stress of flight and help them sleep in space. It relieves anxiety and drives you into deeper sleep. Phenibut is also a nootropic: it boosts cognition, giving you relaxed clarity of thought. Phenibut can be addictive, so it’s very important to take it correctly. The two common mistakes people make are taking phenibut daily and increasing the dose over time. Phenibut’s effects last for 48-72 hours, so you only want to take it once every three days (twice a week max). You also want to cycle it to avoid tolerance. Go two weeks on phenibut, two weeks off. Don’t go past 250 mg doses; if you stop feeling the effects at 250mg, cycle off for a couple weeks. Don’t mix phenibut with alcohol, either. It amplifies the effects, which can be dangerous. Time: Anytime, but only twice a week max (Monday and Thursday, for example). Do two weeks on phenibut, two weeks off. What Are Phenibut Side Effects? Like anything we put inside our body, the best source of measurement and criticism is the human body itself. To avoid adverse effects, start at a low dose and see your body’s reaction and adaptation to it. Often individuals report dizziness and drunk-life sensation as a side effect. On the other hand, many people use to supplement with phenibut for the very same impact. The experience is entirely subjective. Rarely users report fatigue, nausea, and stomach discomfort. People on epilepsy medication or MAO inhibitors are advised to consult a professional doctor before taking phenibut. Alcohol should be consumption should cautiously within reasonable limits ion due to the synergistic effects of alcohol and phenibut. Avoid taking on a daily basis. Phenibut has high abuse potential. If taken regularly, be mindful of possible withdrawal effects upon discontinuation. It’s wise to limit intake to once or twice a week. Thereby maintain a low tolerance, enjoy its benefits, and avoid building a destructive habit of use. Do not underestimate the power of phenibut and do your research if you decide to include it in your stack. As of 2018, Phenibut is not a controlled substance in any country apart from Australia and Hungary. In 2015, it was suggested that the legal status of phenibut in Europe should be reconsidered due to its recreational potential. As of 14 November 2018, Hungary added phenibut and 10 other items to its New Psychoactive Substances ban list. We all love phenibut. It removes our social anxiety (which everybody has nowadays), removes inhibitions we have as humans, removes a mental condition we didn’t know we had before the use of this substance, makes us more motivated so we can focus on tasks. Phenibut is a substance which is very handy to treat all of this. You can use it for the rest of your life. You will have continuous anxiolysis, but the motivational aspects will disappear. This is because of a down-regulation of GABA-B on the lesser hand and especially down-regulation of your dopamine receptors. It’s called tolerance. I was 3 years addicted and I have a long road of nootropic use behind me. Herbal extracts, synthetic nootropics, soft- and hard drugs… Some to get high, others to make me smarter and others to remove phenibut tolerance. But 99% of these maybe 100+ compounds I used really helped. However I discovered 2 very useful substances on my long road. First of all, memantine. It’s an Alzheimer’s medication. It works as an NMDA-antagonist. NMDA receptors are receptors in your brain part of the glutamate system, used for learning and memory. These are said to reverse tolerance for stimulants such as caffeine and amphetamine. Phenibut can be classified as a relaxant and stimulant, and while it has like all the other stimulants tolerance problems, NMDA antagonists come in handy to reduce this. Various reports of people you can find on the internet indeed back this claim up. Other compounds who work in this system are ketamine, DXM (cough surpressant), MXE and N20. We also call these compounds dissociatives. Memantine is dissociative in higher doses as a recreational drug but for Phenibut it’s more suited in 1-10mg doses for tolerance reduction. It’s also a dopamine agonist. You read that good: an NMDA-antagonist (reduces tolerance for dopaminergic stimulants) and dopamine antagonist. So memantine is a stimulant while reducing tolerance for stimulants. In my use of this substance I learned this: start low – with 1 mg to begin with. Because memantine is also a nicotinic acetylcholine receptor, it can have anti-nootropic effects the first week while starting. This may contribute to initial worsening of cognitive function during early memantine treatment and is the reason why many people don’t take memantine for longer than I week and why you can’t find many succesful reports on the internet. I was very succesful in doing this but had to way for minimum 2 weeks. Memantine is also the best in the 2 chemicals I describe in the post when comparing price/efficacy. You can find 10 grams for €75 on the internet (contact me when interested). The other succesful substance I used is fasoracetam. It’s a nootropic in the racetam family. Some other nootropics in this family are piracetam and aniracetam. 2 famous nootropics known for there ability to increase blood flow in your brain and make you more sharper. But only fasoracetam has the ability to increase GABA-B receptors in the brain. It’s no GABA-B agonist and no GABA-B antagonist. This is good to know because GABA-B antagonists have a negative on your ability to relax in the beginning and are dangerous in general (because they can damage your nervous system). GABA-B antagonists don’t know as far as I know, so this is purely hypothetical. Just wanted to say fasoracetam is an ideal substance. Fasoracetam is more expensive compared to memantine, I can find 10 grams on the internet for €60. Since you need to use higher doses (10-50mg) it will cost you more. Because of my discovery of these substances and success with it, I decided to be a social butterfly and highly motivational person for the rest of my life. I decided it long before I discovered this, but I couldn’t make it true because of the disappearment of phenibut’s effects. I hope I stay them for the rest of my life. My current method? I make 000 capsules which hold approximately 800mg powder. With a weighing scale I weigh 100g phenibut, 2.5g fasoracetam and 0.5g memantine. Then I mix it. By doing this I get a nice mixture of these powders. Be aware, people will say this is not 100% mixed because you do it manually. But this is not a huge problem, it’s not really a bad thing if you get sometimes 1 mg memantine and other times 3 mg memantine. If you want to do it more precisely, you can buy a super accurate weighing scale and put 1mg memantine every morning under your tongue. But you lose the comfort of easy dosing. Phenibut is a useful anxiety-relieving supplement that does not cause the infamous drowsiness often accompanying anxiety medication. It is well-studied and standing amongst the top in line when it comes to anxiety relief, sleep regulation, and cognitive improvement. Based off my experience, I’d only only tried and therefore recommend Nootropic Depot’s Phenibut. But you can simply search online and make your choice from the different vendors. And make sure you research those vendors too, before actually making a purchase. In February 2018, the Australian Therapeutic Goods Administration declared it a prohibited (schedule 9) substance, citing health concerns due to withdrawal and overdose. The average half-life of phenibut is around 5.3 hours. The peak effects of phenibut can take four to six hours to appear when it’s taken orally, although the effects are felt on average around two hours after it’s taken and usually you will feel it for more than 6 hours. Start at the lowest effective dose (250mg) and monitor your response to it, then adjust according to your needs. A dose of 250 mg is a good starting point for first-timers with no tolerance. 500 mg would be the ideal in my opinion. How long for Phenibut to kick in? Phenibut has a long onset time of around 1.5 – 2 hours until its peak effect, for most people. The time that it takes to kick in depends on the amount of food in your stomach, your metabolism, the dosage, and how you took it. Taking Phenibut sublingually results in a faster onset time that taking it with water or juice. How much Phenibut to take? For first-time, 250mg, If you’re experienced and know well enough about it, you can take 500mg. The best approach is to start low and see how you react to it, and increase accordingly if needed. But keep in mind that it takes around an hour and a half to be felt, so make sure you keep about 2 hours interval between doses. If you’re intrigued by Phenibut, you might like and find Fasoracetam quite interesting too due to the two’s interaction. As well as Agmatine Sulfate.